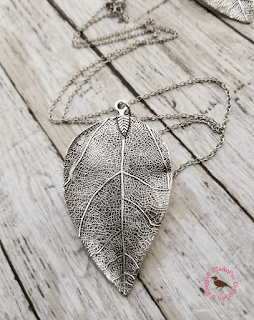 Long and Boho and all things autumn. 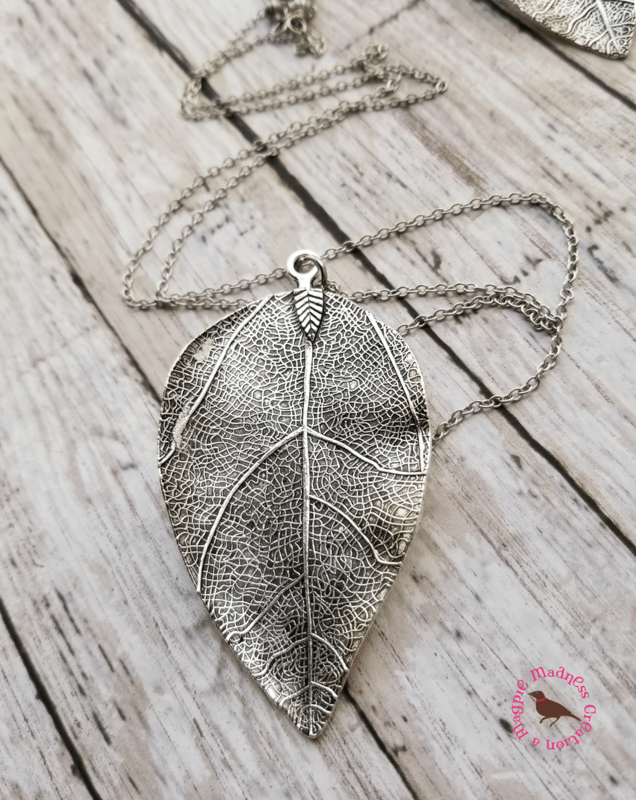 I hung a curved silver alloy leaf from an antiqued silver soldered link chain. I make all my chains 30 inches unless you want a different length. She'll love it. Hip and in style! Perfect for layering with other chains. I'm counting on my tree lovers to help me identify what kind of leaf this is? Birch? 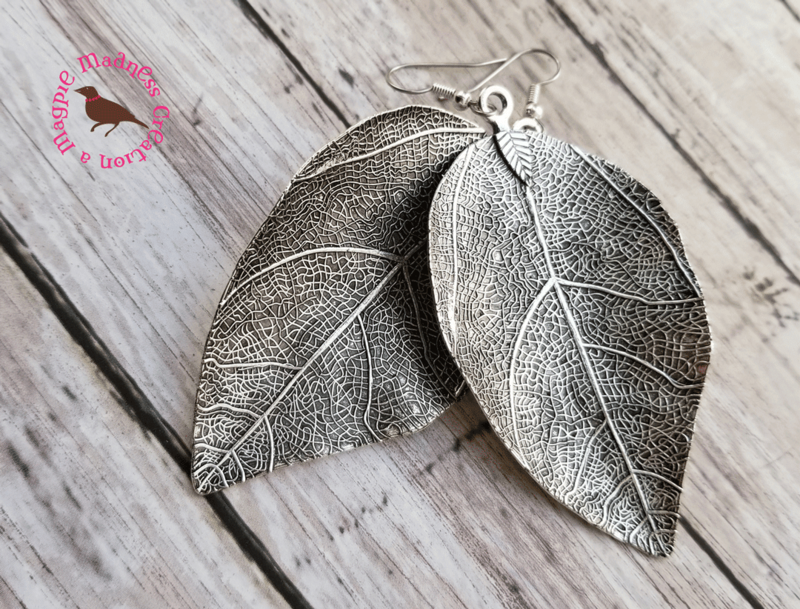 As you can tell from my shop I like leaves:) See here! 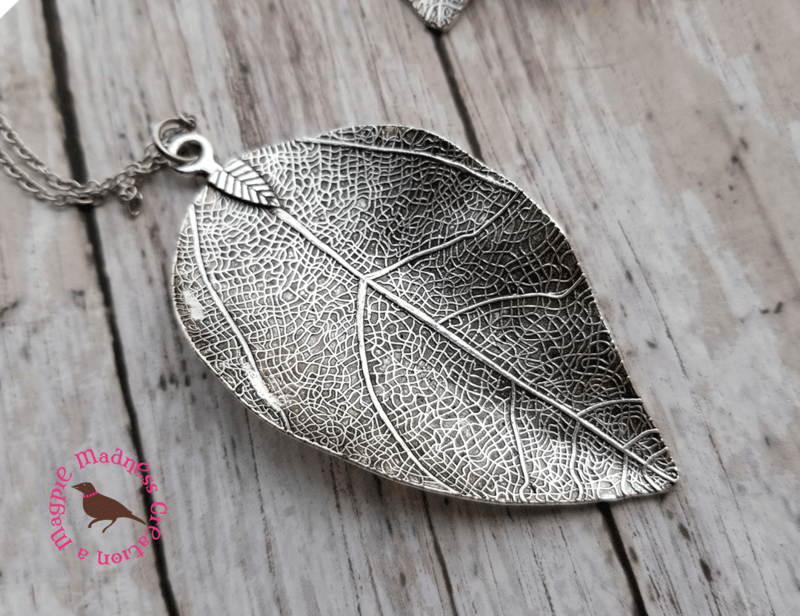 See thinner leaf pendant here, and a skinnier different style here.